Updates to Edward (Ted)'s profile since your last visit are highlighted in yellow. Missed last reunion :-( but determined to make the next! This is crazy: My younger daughter just graduated, AAHS class of 2014! I was one of the nerds, I'm sure, but mercifully didn't know it at the time. I did that computerized boy/girl compatibility match program for my computer programming class senior year (which worked so well it matched me with my sister); and I'm probably also known for my failed model rocket demonstration (sorry for making you all stand out there in the cold!). But it was all fun! Edward (Ted) Walford has a birthday today. 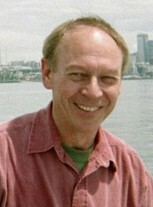 Edward (Ted) Walford updated profile. View. Edward (Ted) Walford changed "Now" picture.